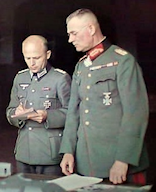 DESCRIPTION: This is a marvelous painting in miniature of the German leader dressed in the uniform of Der Kampfzeit, the struggle for power probably 1929 or so. This is 100 percent hand painted by an extremely proficient artist. The colors are wonderful and the whole presentation lifelike. 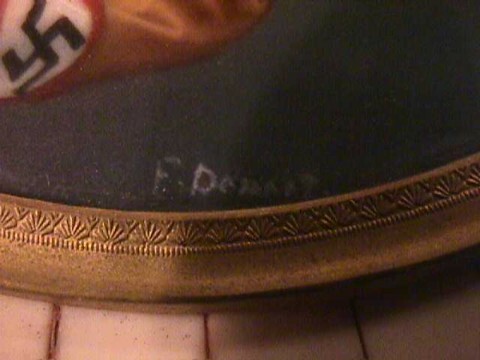 The painting is signed by a man whose signature looks like 'F. Denant.' The frame is constructed of ivory. Often, discarded piano keys were recycled to form these elegant little frames. This is a very old Germanic tradition. The painting itself is executed on ivory. This is a great study in stark realism and absolutely true to the period. 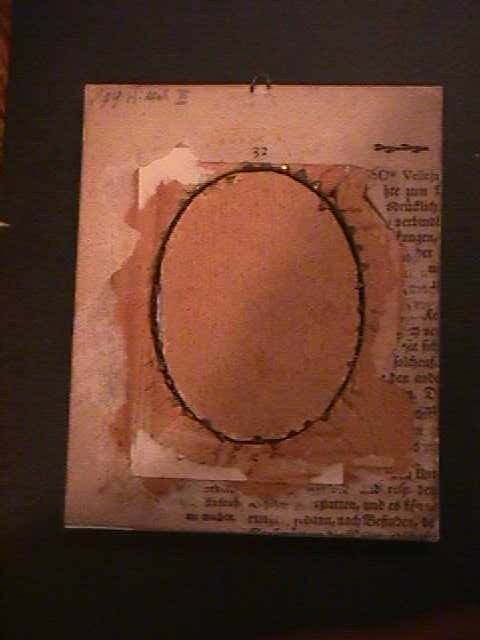 The frame measures 4 ¾ X 5 ½ inches, while the rendering is a little over 3 inches high and 2 ½ inches wide within the gilded-brass inner frame. Of this particular painting it could be said that it is a very important art piece of the NS saga. This is a small treasure in its own right! 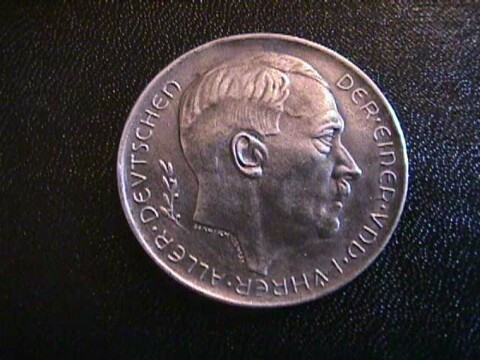 DESCRIPTION: This silver medallion bears a really fine likeness of the Führer. It is in pure sterling silver and is marked 900 and coin office Munzamt Wien (Viennasa) along its edge. 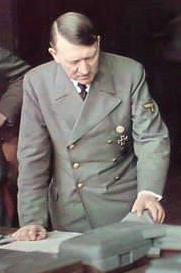 On the edge around the portrait image are the words "The One Leader of All Germans." 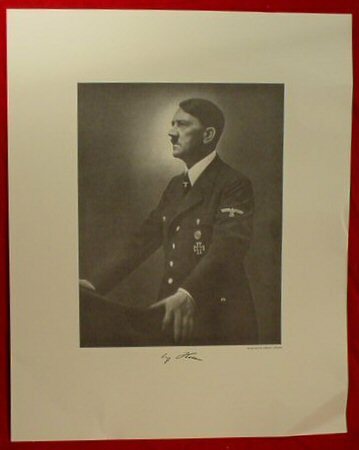 There is a signature alongside the neck of the artist. 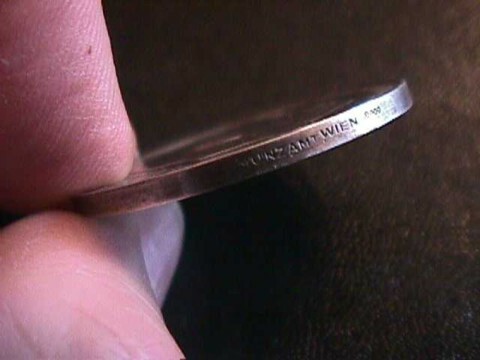 The reverse goes on to say (along the inside edge) 'The Greater German Reich is Restored!' 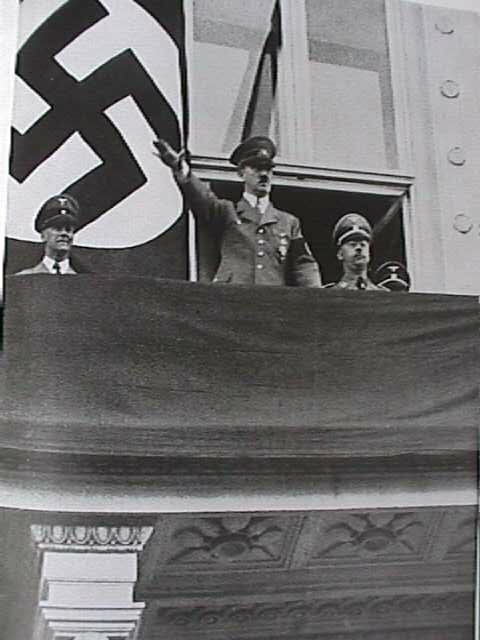 There are the dates of March 13, 1938 and September 29, 1938. 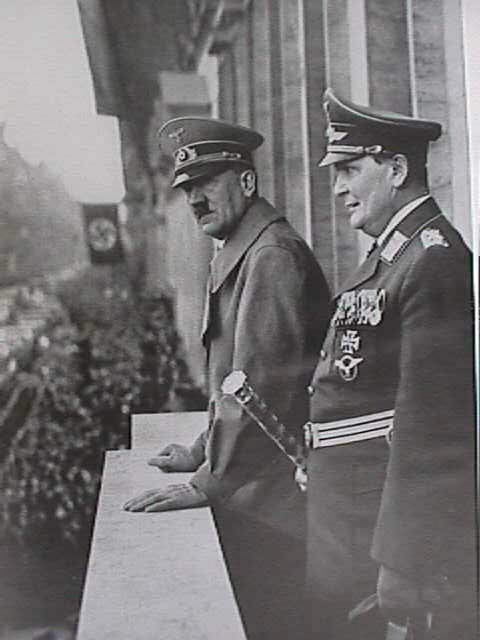 March 13 was the date the Anschluss ballot was voted upon. 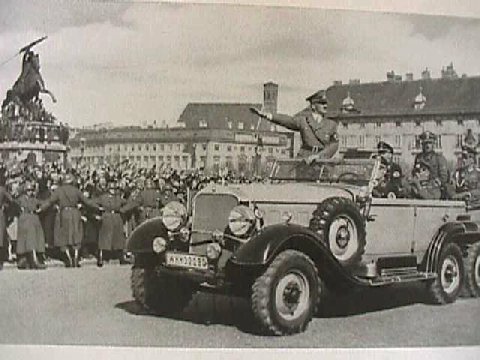 The Anschluss of Austria coming into the Reich with Germany was accepted by an affirmative vote of 99.07 percent of voters. This was the now-famous "Plebiscite." 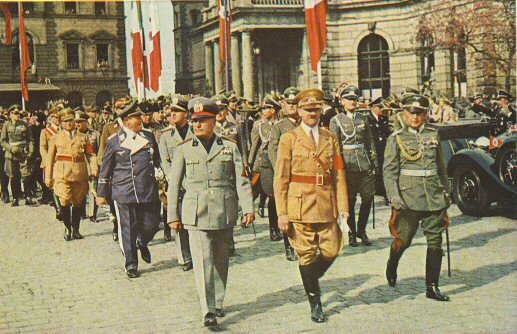 The Austrian and German people had firmly decided to once more be (one) with the NSDAP and Adolf Hitler. The most interesting feature of this medallion is the Christian cross. 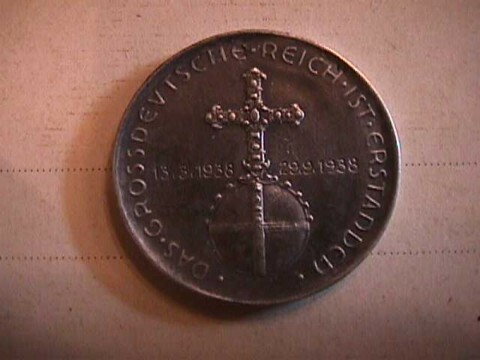 We know that Adolf Hitler remained a Catholic all his life and the Christian motif on this medal is certainly apropos. 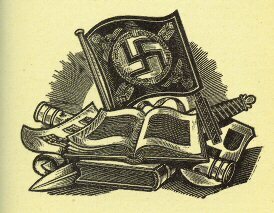 The depiction of the Christian cross and orb I am sure indicates that the German Führer would now somehow carry forth the mission of Karl der Grosse (Charlemagne) in uniting all Germanic peoples into one greater German Reich. 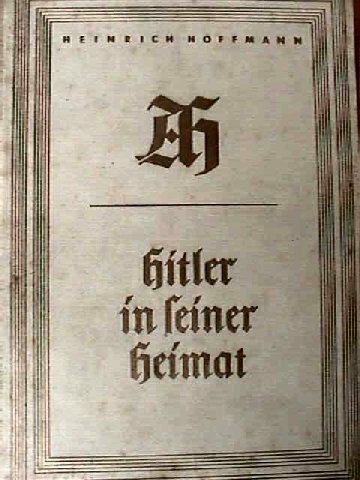 DESCRIPTION: This is the white cover, deluxe edition of Hitler in Seiner Heimat, "Hitler in his Homeland. 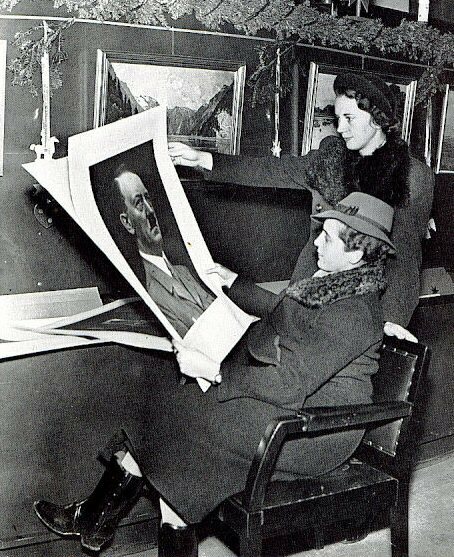 This is a 56-page portrayal in the finest photography by Professor Heinrich Hoffmann, Hitler's personal photographer and close friend. The special editions are quite rare and much sought after. We were lucky to be able to purchase this in Germany recently. The book is in very good condition except the spine has been torn 5 inches from the bottom (repaired). The pictures are astoundingly good! 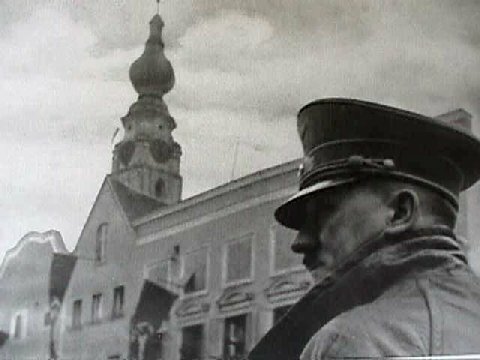 Hoffmann was easily one of the world's best photographers. 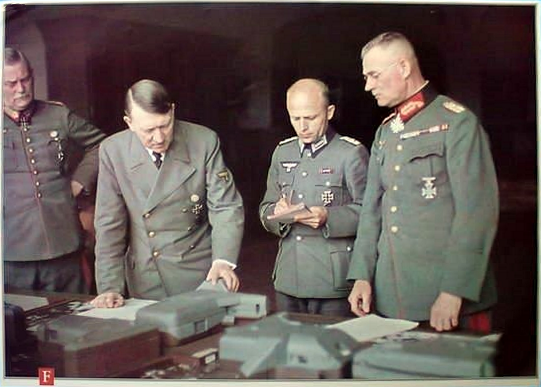 DESCRIPTION: This crystal-clear picture of the wartime Führer and his staff was produced by Focal Point Publications, the publishing company of David Irving, the number one WWII historian, who is always in trouble with the powers that be because he shares the truth in historical revision. Check his web site. Go to a search engine and punch in "David Irving" or "Focal Point Publications." 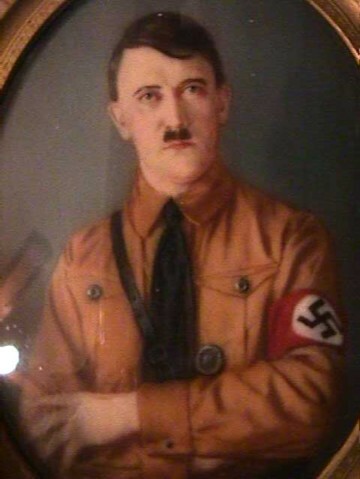 The picture is newly framed and very nicely done. 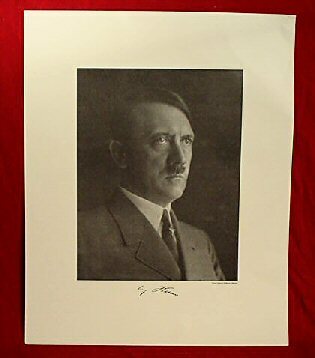 It measures 18 ½ x 25 ½ inches. This is pictorial clarity in 1943 that could not be bettered today. The colors are spectacular. We can sell this print framed or unframed.